While Tesla has been in what many are calling “production hell”, SpaceX has made some advancements in recent months with 2 successful launch landings, with another launch scheduled for this September. Although this doesn’t mean that SpaceX astronauts will be sent out of the ships wearing these spacesuits, the suits are only meant to be worn for the ride through space to and from the International Space Station in SpaceX’s Dragon Capsule. 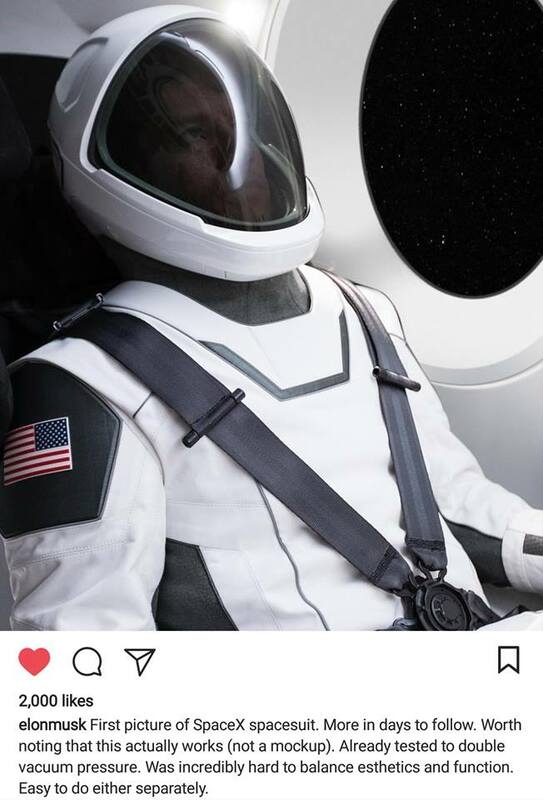 The suit, however, definitely is a bit more futuristic than the spacesuit that Boeing revealed earlier this year for their CST-100 Starliner capsule travels.